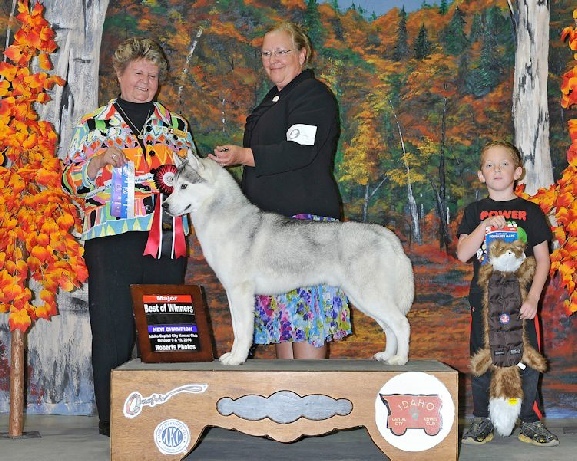 Dam: CH Amazing Grace of the Midnight Sun. Gray/White Bieyed. 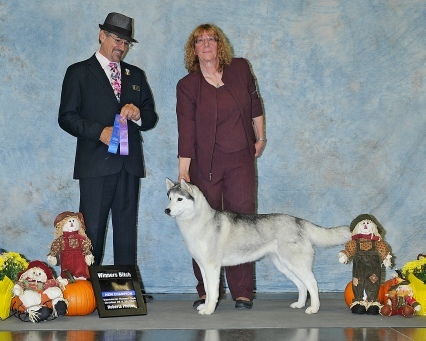 Finished his CH winning a 5 point Major with Lisa Payne handling. 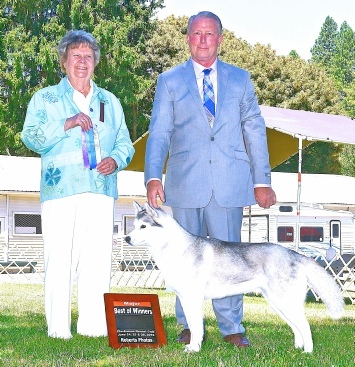 He finished his GCH wiinning BOS at the LCSHC Specialty in Canby, OR. Cody has been neutered and officially retired from the show ring. 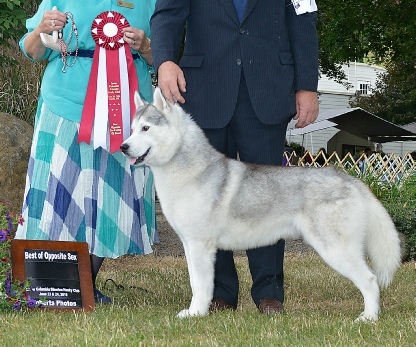 CH Kczar’s Going Baroque at Tobotuk (Megan) Gray/White Bieyed. 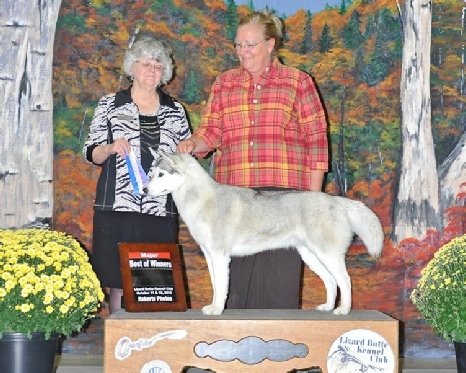 Shown winning a 5 point major with Handler Lisa Payne and a 4 point major with Kenny Payne. 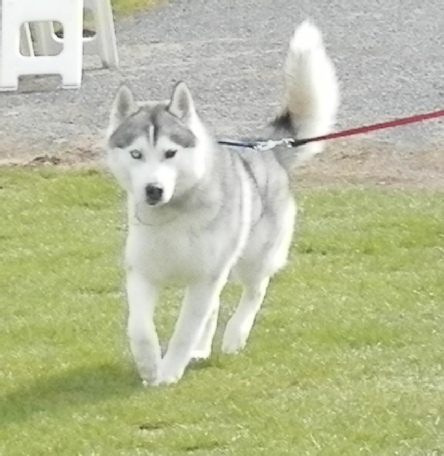 Megan has been placed in a show home with Linda Carlgaard, who showed her to her CH tile. She now has several points toward her GCH.